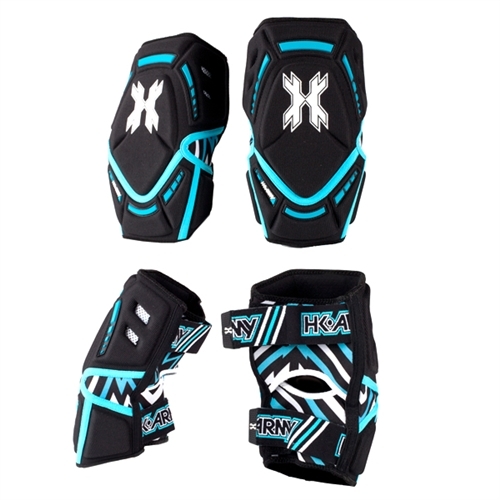 HK Army Hardline Knee Pads are designed to increase performance, comfort and protection during game play. Soft gel padding lines the interior of the knee pad to ensure superior comfort and maximum protection. Strategically placed aero-mesh vents provide ample ventilation to keep you cool on the field. The The triangular cuts at the knee joint improve mobility and the pads are equipped with two adjustable straps for fit.